A horse that is versatile can do a variety of things. It does not have to be really good at every task. The horse may have one discipline that it excels in but it is also able to do other types of activities. 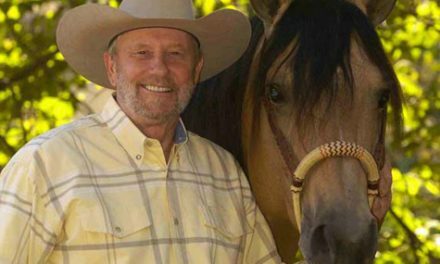 For example, you may have a good trail horse and at the same time that horse is able to work with cows and perhaps do some jumping. 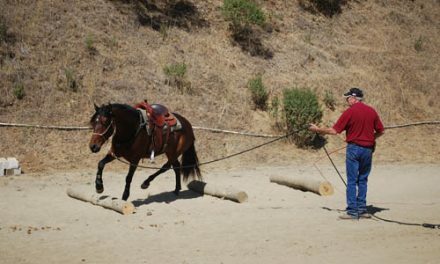 A trail horse needs to be familiar with cows and you never know when you may need to jump over an obstacle on the trail. The skills work together and that is where I like to take the horses I work with. I like to be able to broaden their horizons and make them more versatile. This keeps their arena work from becoming boring as they get to do many different things. Close to twenty years ago, a lot of the top trainers were talking about cross training. Lynn Palm was doing western dressage even back in those days. 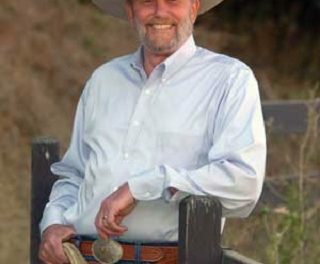 Western or cowboy dressage is nothing new, it has just gotten very popular in the last few year. But learning the principles of dressage can enhance the gymnastic abilities and the trainability of a horse. The dressage principles include riding balanced or having good equitation so that the rider is in harmony with the horse and not interfering with the horse’s movement. Another gymnastic aspect to consider is jumping. Most of the time we think of jumping tall fences but most horses should be able to jump 18 to 24 inches. If the horse is comfortably trotting over cavelettis and is being obedient, meaning the horse is quiet and paying attention, you can canter over the caveletties or a grid of caveletties. This exercise allows the horse to pick up his back. If you have a horse that is having a hard time with lead changes, going over a caveletti or an 18 to 24 inch jump can help. Ask for the lead change just before you go over, while the horse is in stride or in the air, cue and switch as the horse meets the ground. Trail riding is a great gymnastic exercise. Teaching a horse to go up and down hill is of great benefit. Unfortunately, most riders do not understand the principles of going up and down hill. I find that many horses here for training short step going down hill because they don’t feel comfortable going forward enough, in other words they are not under themselves and stepping through. Once a horse learns to come through going down hill, the horse is utilizing his entire body and not just his front feet. A lot of riders let their horses trot up hill and this is a mistake because the horses are pulling from the front end. Walking the horse up allows the horse, again, to get under himself and push from the rear. There are many cross training things we can do to have a more versatile horse. These exercises will make the horse gymnastically stronger and more flexible. We have had some warm bloods and thoroughbreds here that played with cows. It is surprising how some of them really kind of take to it. It is a good experience for them and gives them another level of emotions to work through. 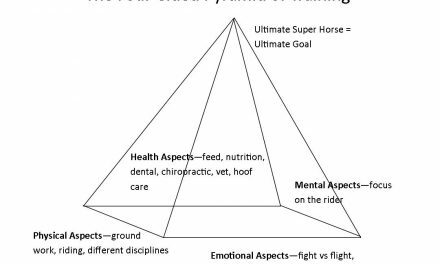 We open up the spectrum of activities that are interesting for both riders and horses. We play soccer in the arena with a large ball. It is good for the horse’s mind and emotions. It is fun for the riders and many horses really enjoy going after and moving the ball. Versatility and cross training are great. 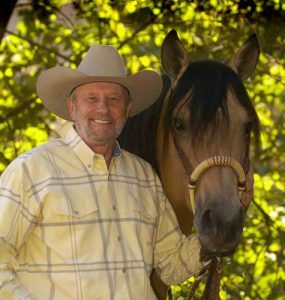 The varied activities build a horse that is more flexible and more emotionally sound and they are a lot of fun.